Congratulations to the following Mead School District students who, at the February 2nd WMEA Regional Music Festival, qualified for the upcoming State Solo & Ensemble Festival: From Mead High . 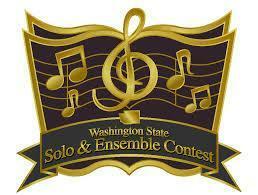 . . Hannah Hardy (Soprano), Jesse Yi (Bassoon) & Saxophone Ensemble. From Mt. Spokane . . . Camden Moyer (Bari Sax) & Chamber Choir. Read more . . .